Over the years our digital libraries have grown quite large. The accumulation of audio, video and picture files prevents any one portable device from being able to store it all. In my case, I have over 350 GB of Music and Videos in my iTunes library and over 3 TB of Recorded TV and Movie backups on my Windows Home Sever 2011. When preparing for a trip with the kids, I would copy various movies and TV shows from my iTunes library to the different devices I have trying to spread out the files for viewing in the car or on the airplane. A 16GB iPad doesn’t hold as much as I would hope when a movie file is 1.5 GB and Apps take up half the storage to start with. If only there was a way to take all of my video files with me and be able to access them on the go? Now it is possible. 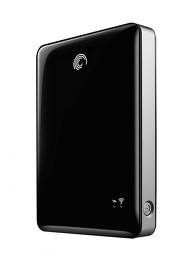 The Seagate GoFlex Satellite is a portable hard drive that has wireless functions built in to the enclosure. It runs about $90 on Amazon.com. This model, STBF500101, has a 500GB hard drive inside and GoFlex USB connector. It is a little bit bigger than other portable hard drives and lighter than I expected. The GoFlex Satellite comes with useful accessories including a DC to USB charger for your car. We will see how necessary that is given their claims of 5 hours of battery life. The Seagate GoFlex is a simple device with a small port for charging, a power button on the side, two lights on top to indicate charging, and WiFi activity and the SATA/USB port on the end. You will need to use Seagate’s special connector to USB so don’t lose it. Getting it set up and ready to use took some time and I was being very methodical as I read the directions. Seagate includes several helpful videos on the drive itself which can be watched on your computer or from a mobile device. This unit shipped with the 1.3.5 firmware and needed a firmware update to 1.3.7.001 in order to work correctly with iOS 6 on an Apple device. Seagate even has a video on how to upgrade the firmware on the drive. There are two methods to getting your content on the drive. Both methods require the drive to be connected via the USB cable. It is ready for USB 3.0, but I was testing on a USB 2.0 port. The drive will show up in My Computer like any hard drive and you can drag and drop files onto the drive. In my initial copy, it took 29 minutes to copy 46GB at a rate of 27MB/s. Later testing on a USB 3.0 port showed copy rates of 37 – 40 MB/s. Seagate also includes Media Sync software on the drive or that can be downloaded from their website. They have a version for Windows and Mac. 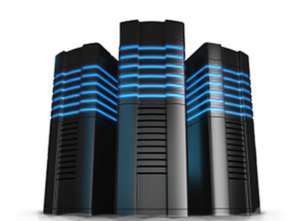 If you are using the Mac, you will need their NTFS support software in order to write files to the drive. I have not tested this yet. 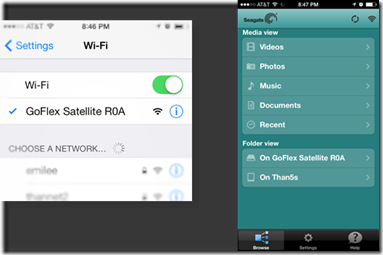 Once you have the Seagate Media app on your device, turn on the Seagate GoFlex wireless hard drive. It then broadcasts a Wirless signal to your devices. 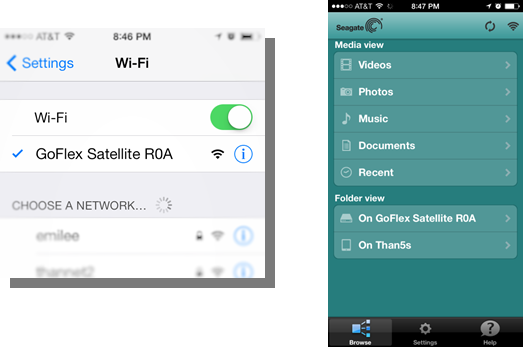 Use the Settings app on the device to connect your WiFi to the Seagate GoFlex and then it can discover the content on the drive. The App will show you content type or you can use the Folder View to navigate to the files you want to play. Both methods worked well for me. 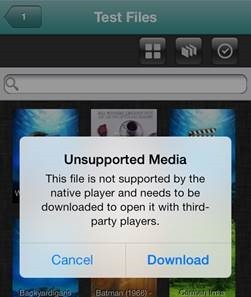 When the music and video files are in a friendly format for your device and DRM free, playback is quick and easy. Seagate’s videos are pretty clear that your files need to be in iPad friendly format in order to play back easily on the iPad or iOS device. 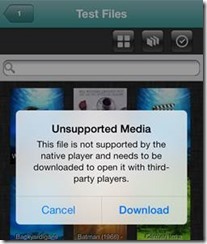 However, you can open other file types if they are supported by a third-party app on your device. I tested VLC player and Gplayer on my iPhone and they played a few more file types than the Seagate app. This is a bit of a workaround though because the app has to download the file first to your iOS device then open in the player app. That’s not as good because the point of having the drive is that you don’t need to copy the content to your iPad. I was able to play a couple file types in VLC player once downloaded to the device .mkv, but not .wtv or .dvr-ms files or Video_TS folders. No surprises there. DRM content can only play on the device that can authenticate for it. The only DRM content I own is iTunes store content and all of that played without a hitch on my iOS devices that were authorized to the iTunes store. As expected, TV shows and movies from the iTunes store did NOT play on non-Apple devices. 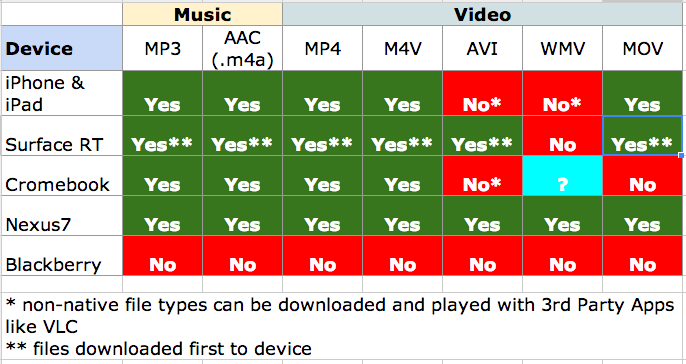 However, since Apple’s music is now DRM free, those AAC files did play elsewhere. The exception was their older .m4p version of files. 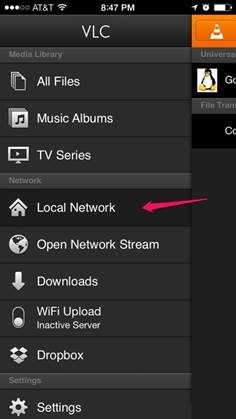 When you have the VLC player app on your device, it has a browse local network option! Connect to the Seagate Wireless and browse the folders you created and start playing content. This worked for some .mkv .wmv, .avi files. This method also save you time from having to download the file first in the Seagate app and then copy to the VLC app. Gplayer has a similar option to browse UPnP servers. We did stress the Seagate GoFlex in our house. We were able to stream videos to 4 devices at once. They were a bit rocky starting up, but once buffered playback was smooth. 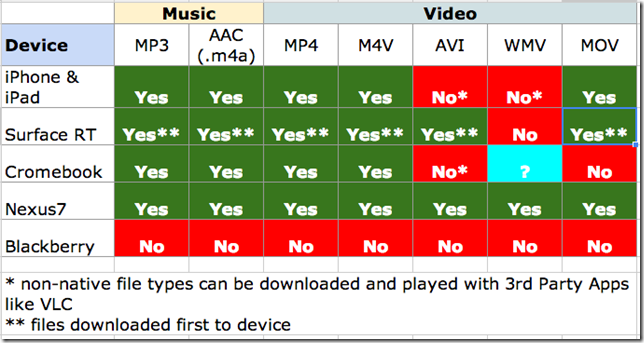 A Nexus 7, iPad, iPhone and Chromebook could each play a video from the drive in the same room. Trying to add a 5th device caused others to stop playback. The Seagate GoFlex Satellite is a pretty simple concept and easy to use portable device. It has plenty of storage for most file needs and certainly a lot more that you will get on most mobile devices. Having the ability to work by broadcasting its own Wi-Fi makes it great in a car or place where you can’t stream content from the Internet. Playback was easy and smooth as long as we didn’t connect too many devices. There are a few things I want to continue to look into though. My tests have been short so I don’t have a sense of how long the battery might last. Why does some content show up with Thumbnail photos or screen art and others don’t? Music files have the option for metadata fields like Album and Artist. How is that populated? And lastly, what would the next step up in the Seagate line (Seagate Wireless Plus) do that this won’t?